This beautiful card was made with Artistic Stamper red rubber, unmounted stamps; Encyclopaedia Botanica & Punk Plaid. The flowers & butterflies were coloured with water soluble pens & the plaid background stamped with a permanent green ink. A beautiful card. 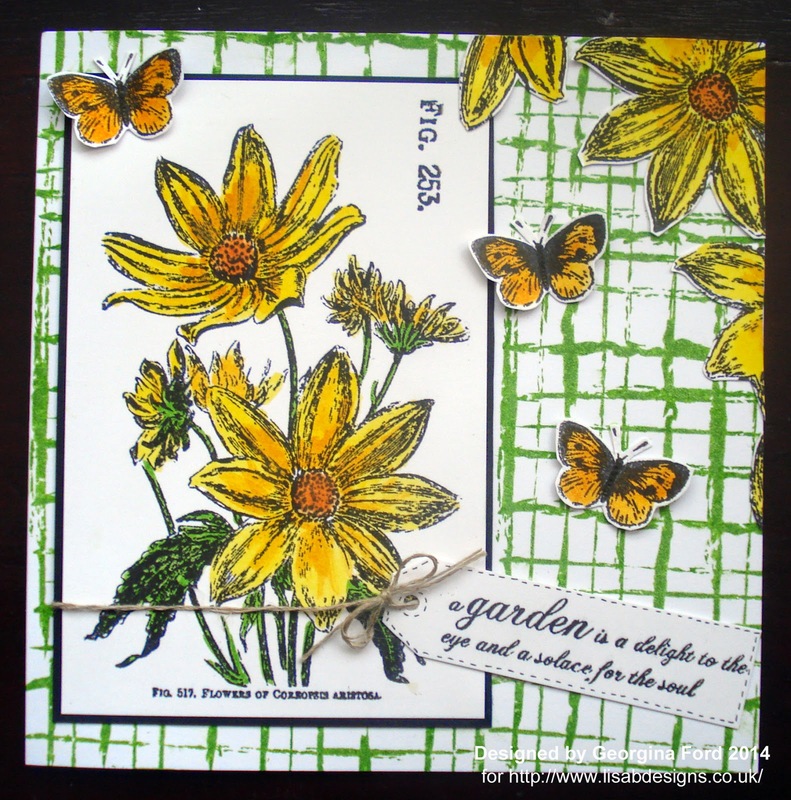 Love the background and the gorgeous flower stamp. A very pretty summery card. That background stamp is wonderful.